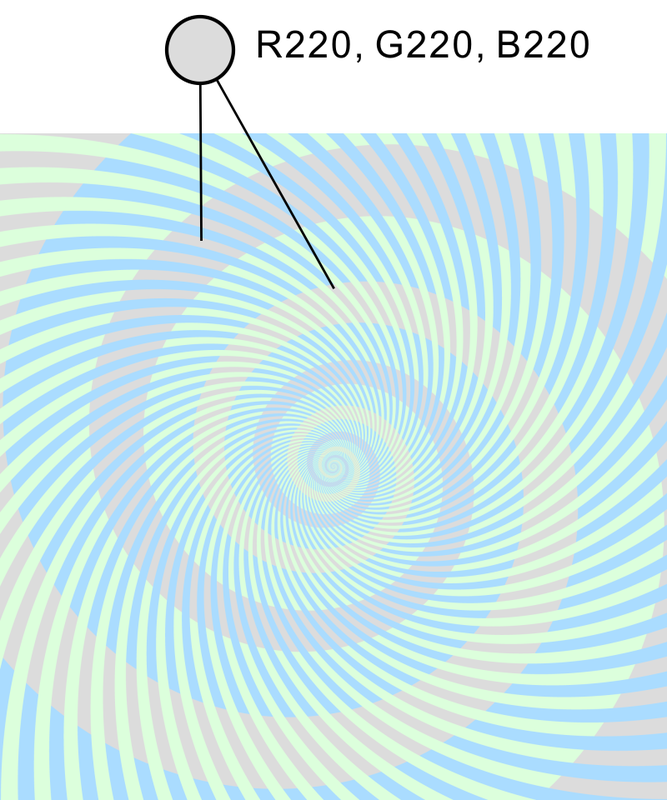 "Illusory blue and illusory green from yellow"
There appear to be bluish spirals and greenish ones, though they are actually the same color and are yellowish. 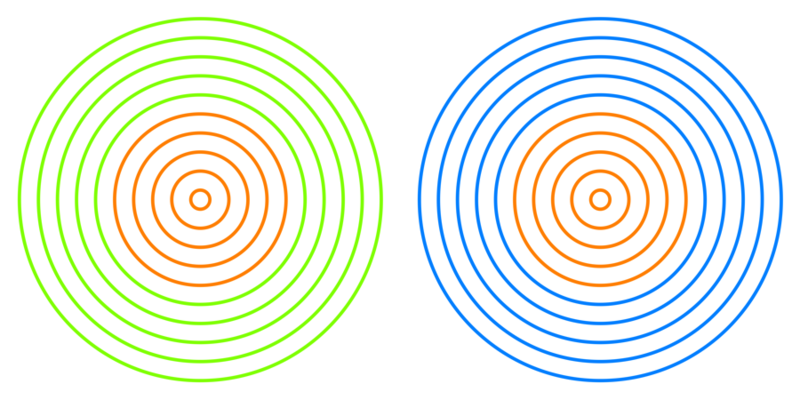 "Illusory red-purple and illusory orange from gray"
There appear to be red-purple spirals and orange ones, though they are actually the same color and are light gray. 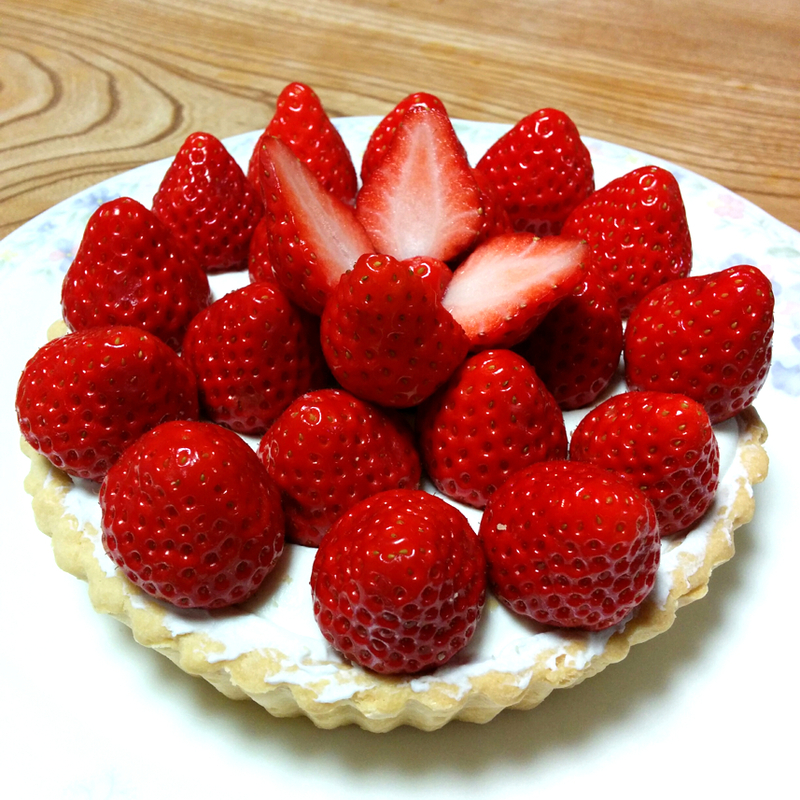 This image consists of pixels of cyan or near-cyan hue, without pixels of red, but strawberries appear to be reddish. 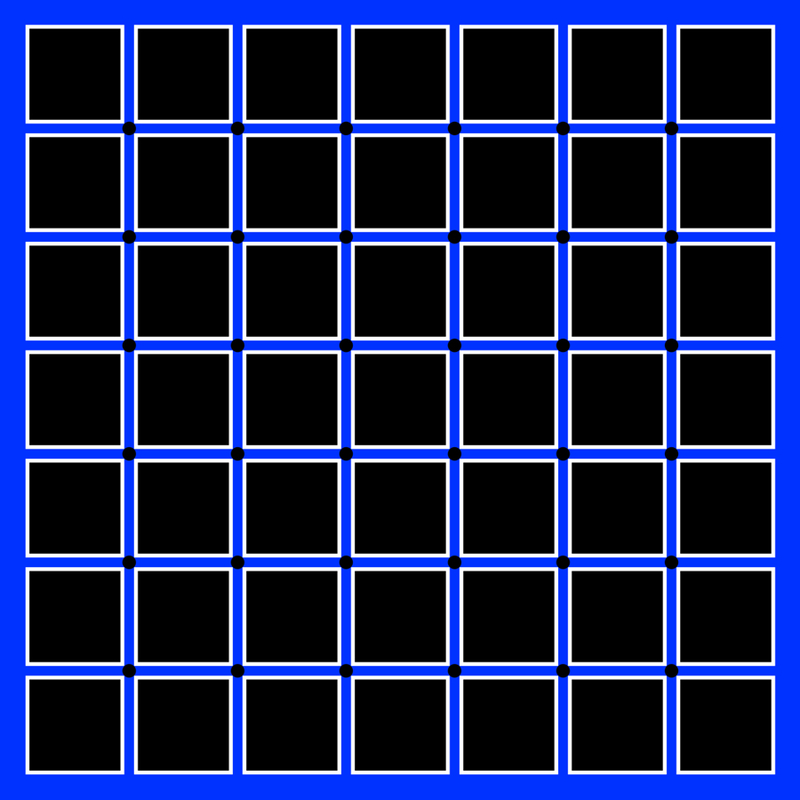 No blue in each pixel. 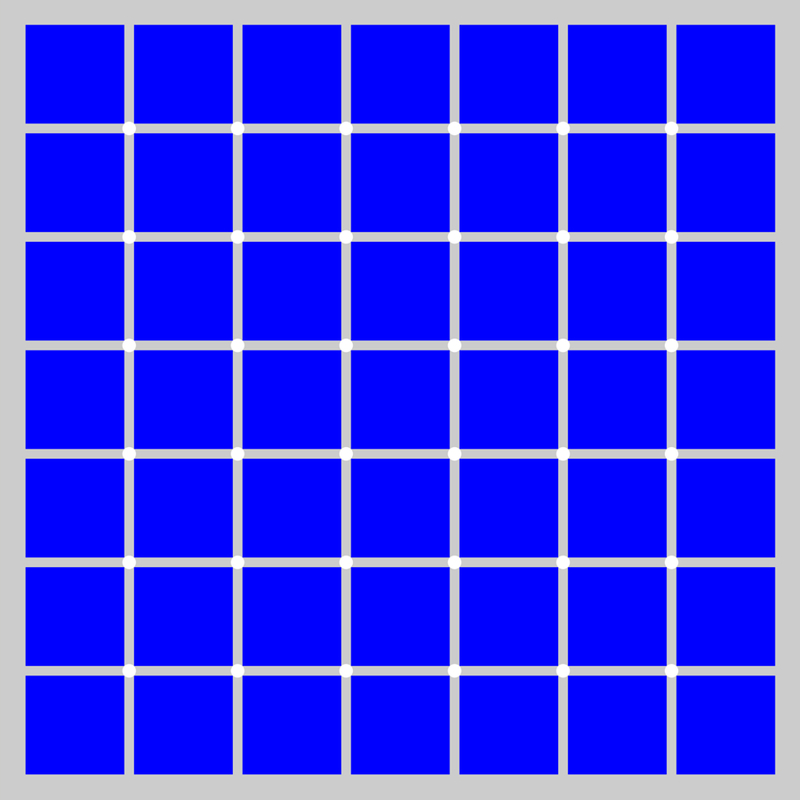 The inset of the left block appears to be purplish-red whereas that of the right one appears to be orange, though they are the same color. Could you report your perception? Wachtler, T. and Wehrhahn, C. (1997). The Craik-O'Brien-Cornsweet illusion in colour: quantitative characterisation and comparison with luminance. 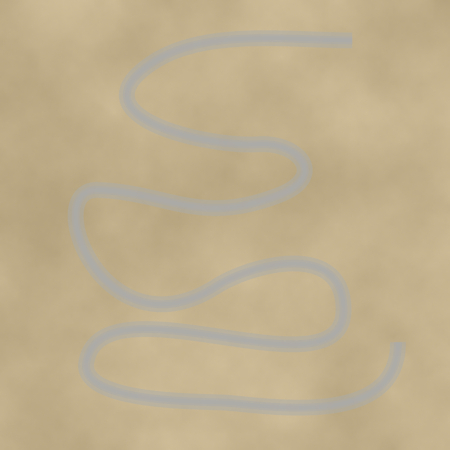 Perception, 26(11),1423-1430. 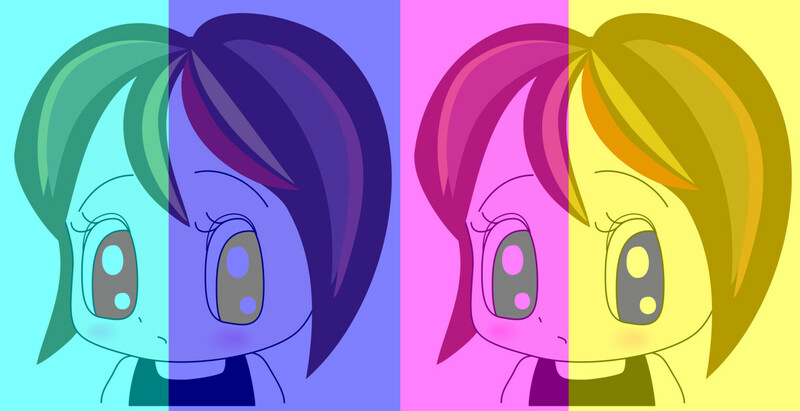 "Eye color constancy illusion demo 2016"
The eyes appear to be reddish, yellowish, greenish, and bluish from the left, but they are bearky nearly the same gray. This image is registered in Visiome. This image consists of pixels of cyan or near-cyan hue, without pixels of red, but strawberries appear to be reddish. 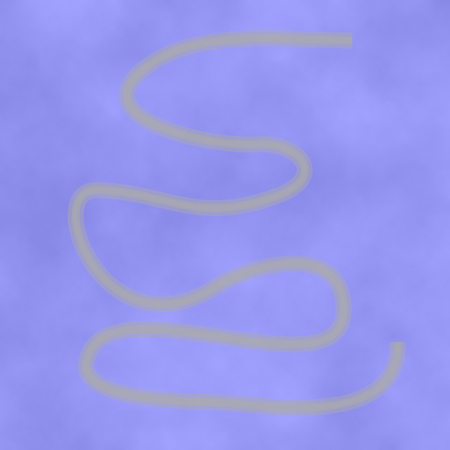 This image is produced with the additive color change (alpha blending) with cyan (53% transmittance). 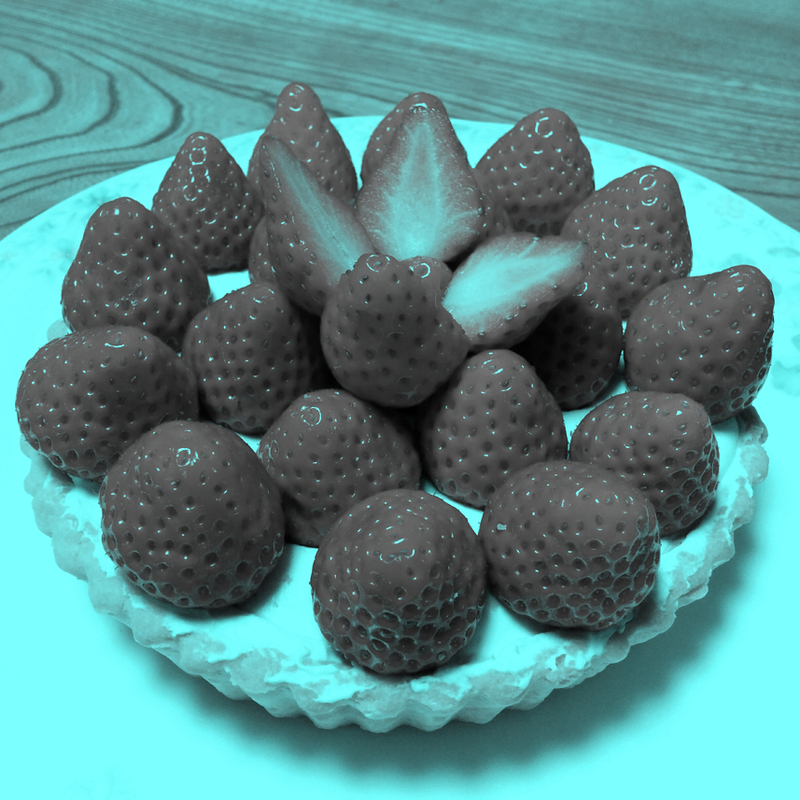 This image consists of pixels of cyan hue, without pixels of red, but strawberries appear to be reddish. 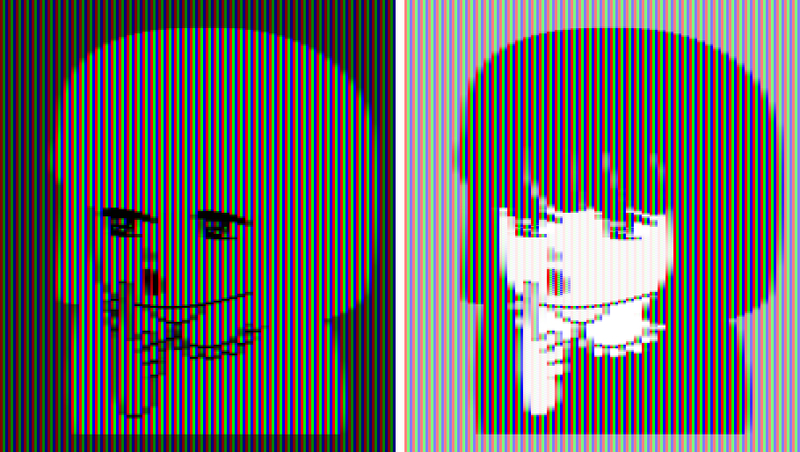 This image is produced with the two color method with the axis of cyan (20% transmittance). The left heart appears to be yellowish whereas the right one white, though they are the same white. 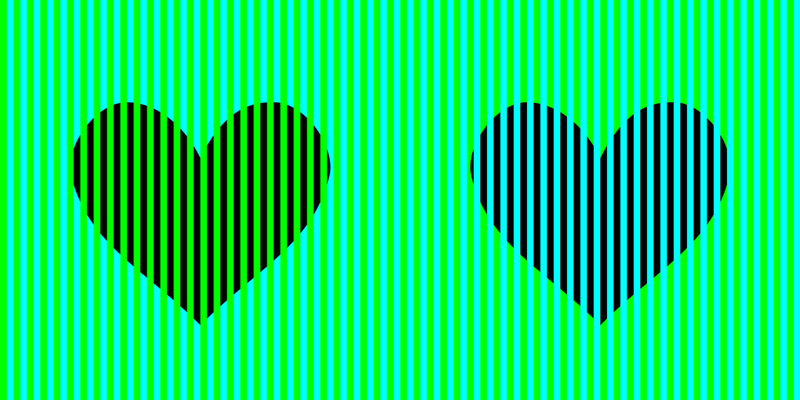 The right heart appears to be bluish whereas the left one black, though they are the same black. 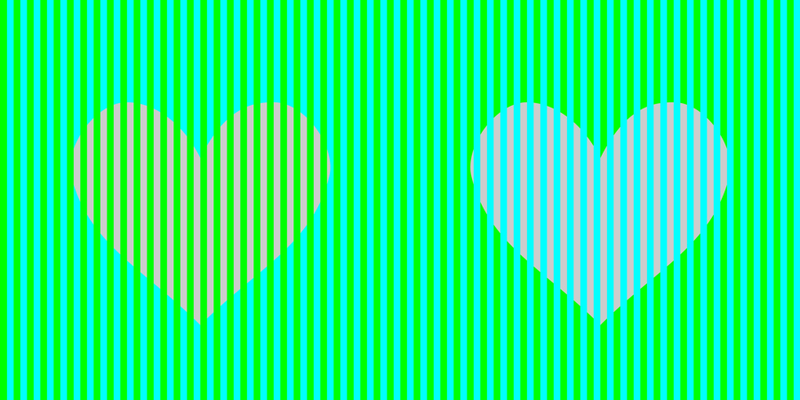 The left heart appears to be pale orange whereas the right one pale pink though they are the same gray. 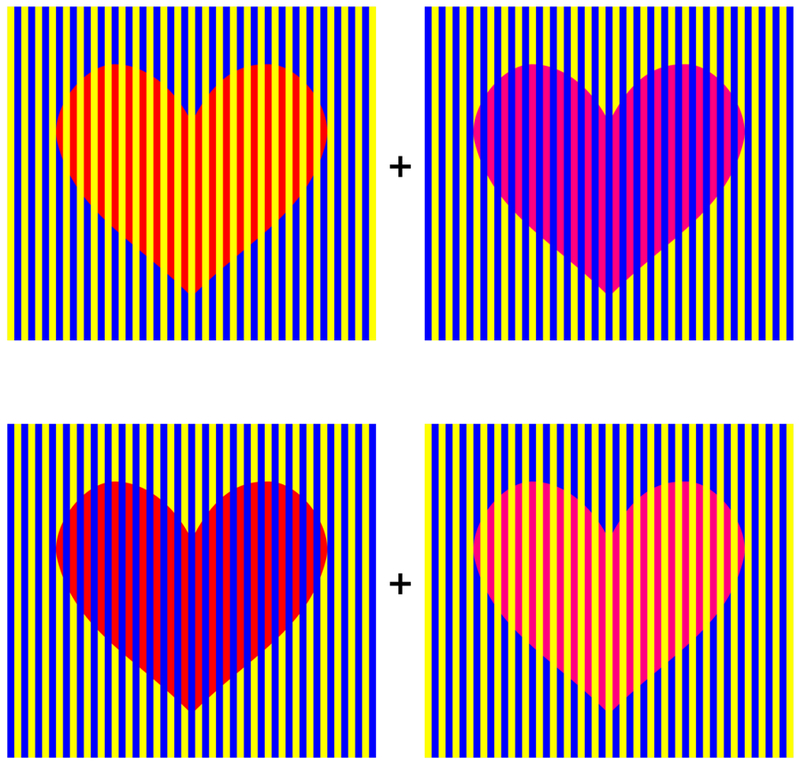 "Orange heart and red-purple heart"
The left heart is constantly red and the right one is red-purple, but the reversal is observed for 1.5 seconds within 3 seconds. 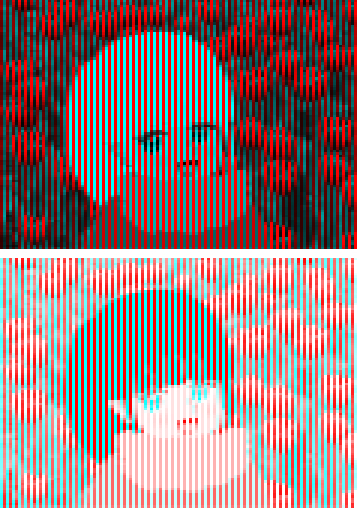 "White and black with RGB"
The hair and clothes in the left image appear to be white whereas those in the right one appear to be black. 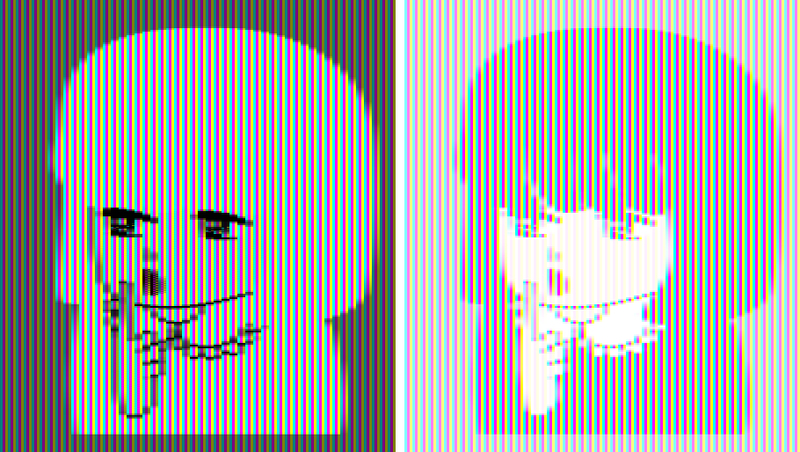 Actually, they are the same color stripes of RGB. 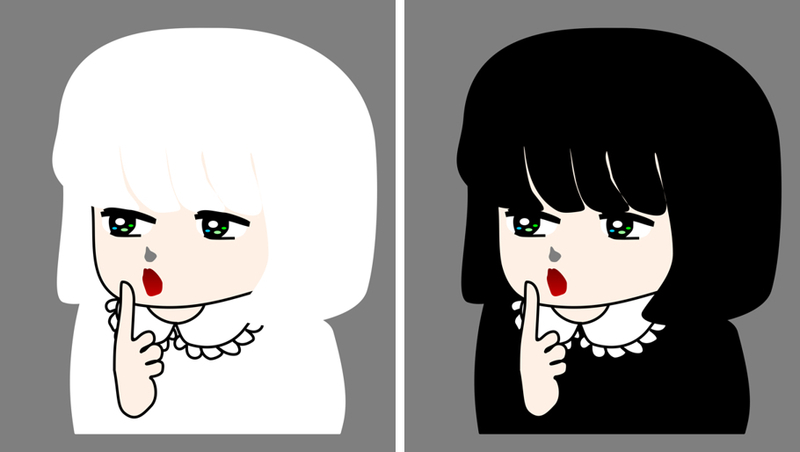 "White and black with CMY"
The hair and clothes in the left image appear to be white whereas those in the right one appear to be black. 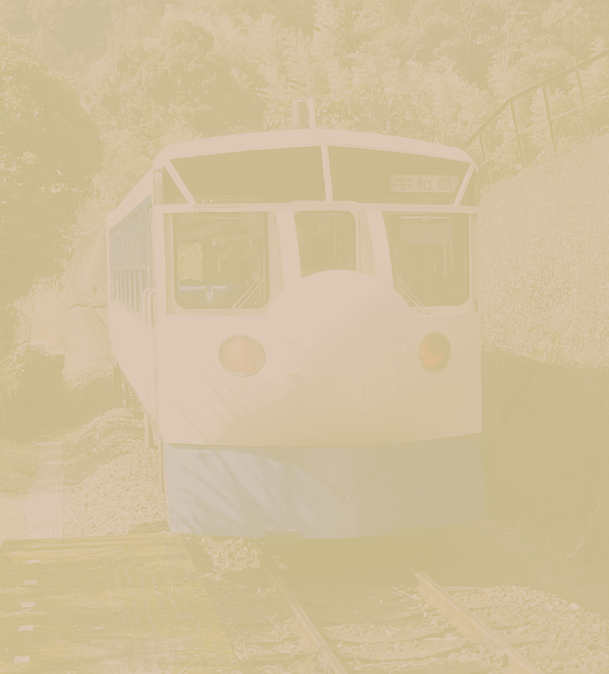 Actually, they are the same color stripes of CMY. 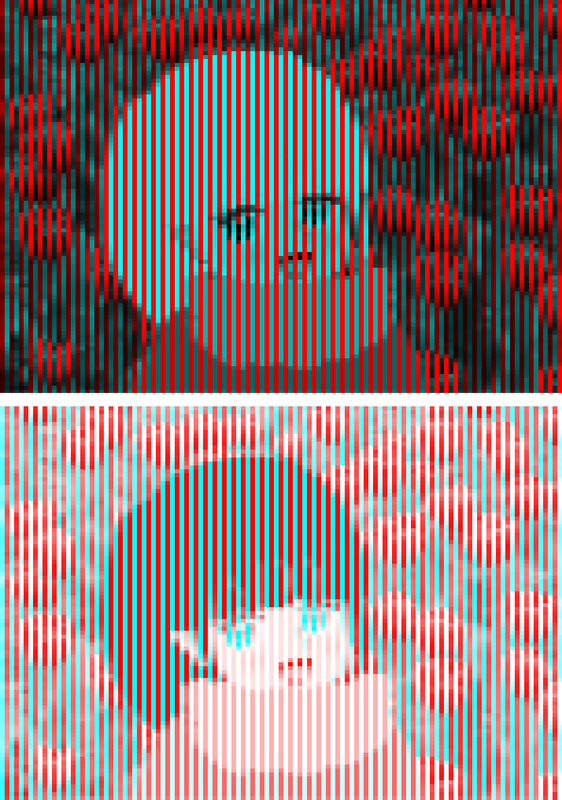 "White and black with RC"
The hair in the upper image appear to be white whereas those in the lower one appear to be black. Actually, they are the same color stripes of red and cyan. Illusory bluish dots appear in white circles. 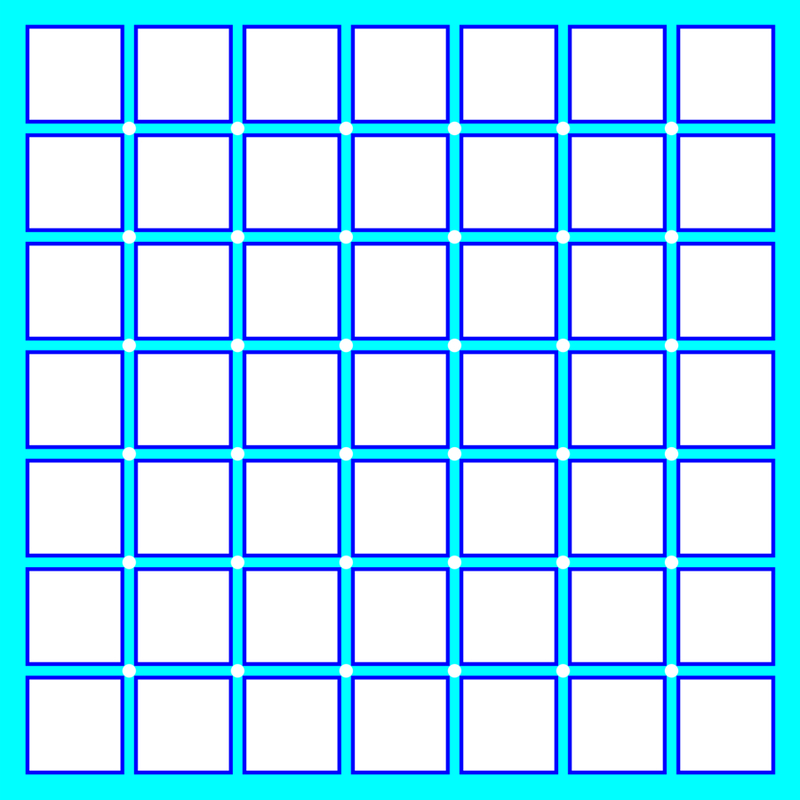 Illusory reddish dots appear in white circles. 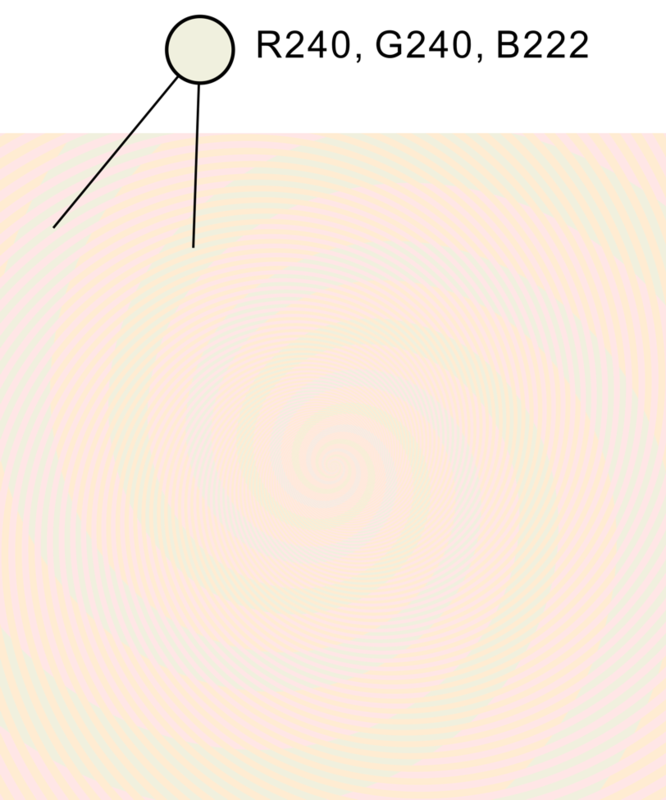 Illusory yellowish dots appear in white circles.